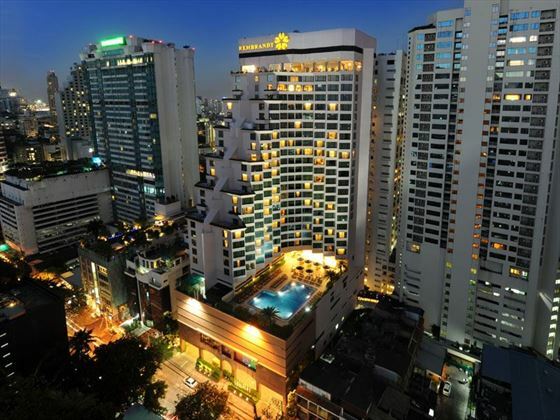 The central Sukhumvit Road address places you right at the heart of the action with public transport, shopping districts and myriad restaurants and bars all close by. Superior Rooms – located on the lower floors and available with one king-size bed or two twin beds to comfortably accommodate two adults. 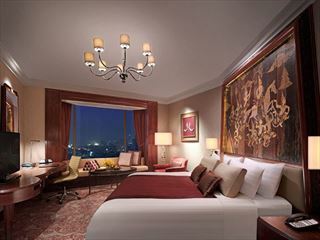 Deluxe Rooms – located on higher floors with great city views and are the same size and suitability as Superior Rooms. Executive Rooms – situated on the top five floors with amazing views and access to the benefits of the Executive Lounge*, which include: complimentary breakfast, newspapers and evening snacks and cocktails. 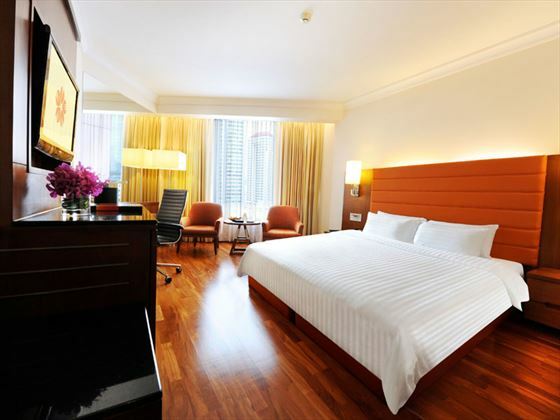 Same size and suitability as Deluxe Rooms. 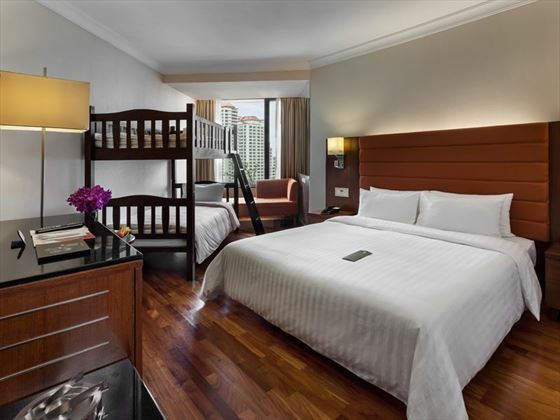 Family Rooms – located on Deluxe Room floor level and feature one king-size bed and two bunk beds. 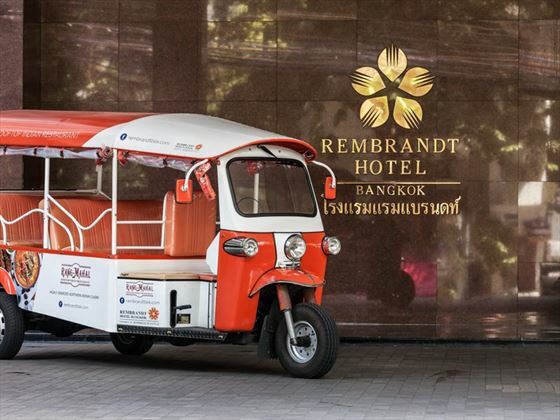 Larger than Executive Rooms and suitable for two adults and two children. 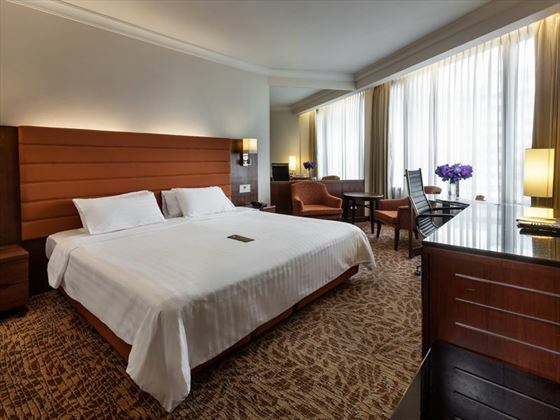 Executive Suites – larger than Family Rooms and located at Executive Room level and contain one king-size bed, two bathrooms, living space and upgraded amenities. Terrace Suites – larger than Executive Suites and include an outdoor terrace with panoramic city views as well as one king-size bed, two bathrooms and a separate living room. 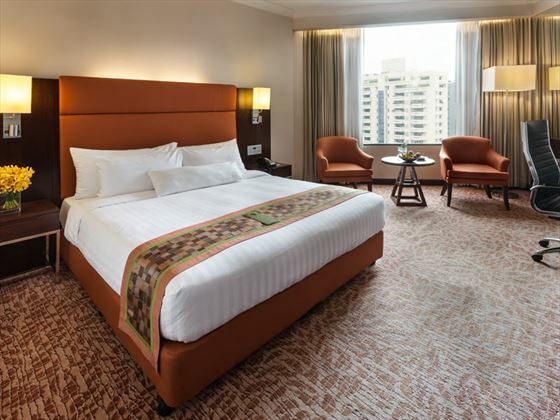 Grand Executive Suites – larger than Executive Suites and located on the 24th floor with one-king-size bed, two bathrooms and separate lounge area. 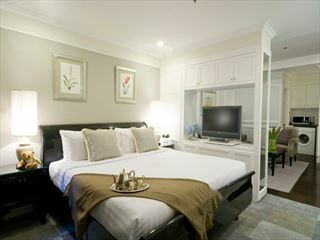 Rembrandt Suite – double the size of Terrace Suites with one-king-size bedroom, separate lounge and living rooms, 12-person dining table and fully-furnished kitchenette. Presidential Suite – larger than the Rembrandt Suite and includes all of the same features as well as a substantial outdoor terrace. 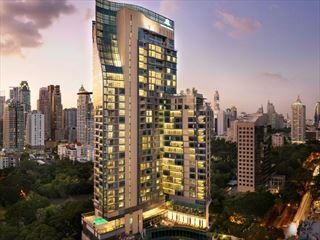 Rang Mahal – award-winning Indian restaurant situated on the 24th floor and open for evening meals and Sunday brunch. 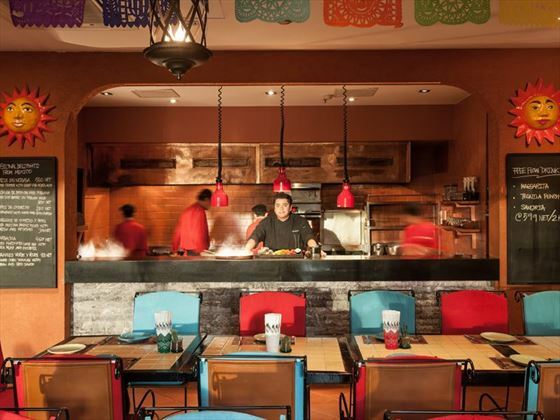 Mexicano – coveting the accolade of Thailand's best Mexican restaurant you'll find an authentic arrangement of dishes as well as more than 60 different tequilas. Open for evening meals and Saturday brunch. 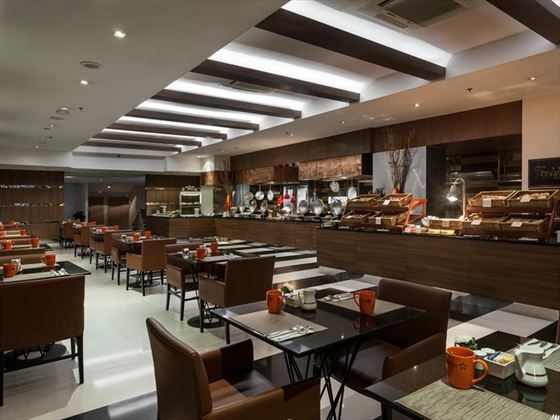 Red Pepper – Thai cuisine and hospitality served for evening meals and weekly buffets on the first floor. 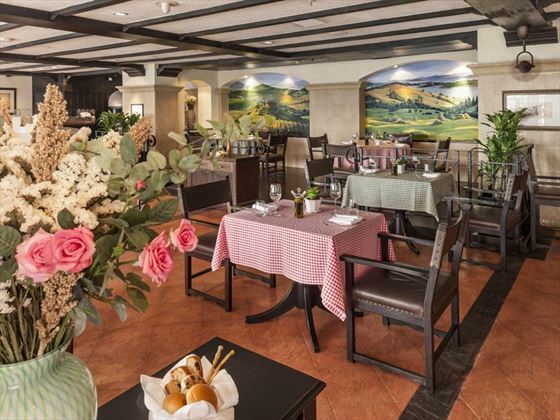 Da Vinci – Italian favourites and a great wine list. Open for lunch and evening meals on the fourth floor. 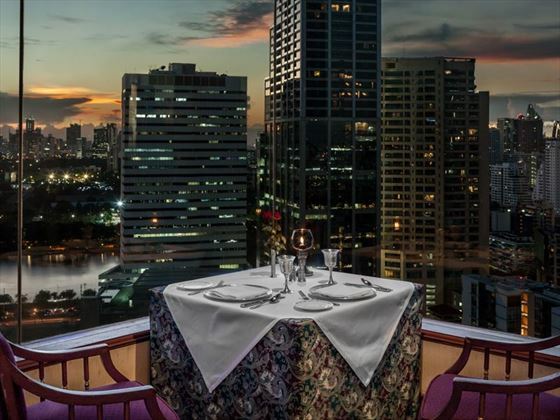 Flavours – all-day Thai and international dining with extensive buffet breakfast and lunchtime a la carte options. Ichika Japanese Restaurant - a boutique show kitchen Japanese retaurant offering memorable omakase flavours cooked in front of you. 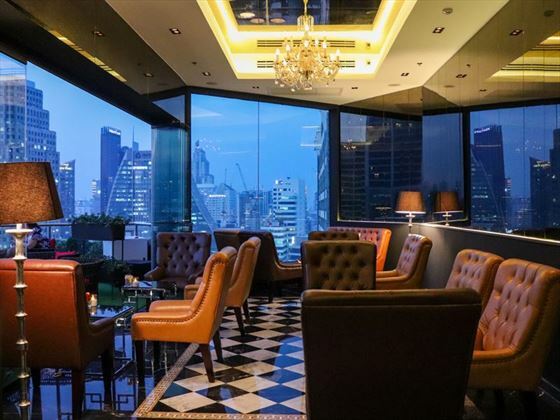 Lobby Bar – open all day for beers, cocktails and wine accompanied by live jazz or sport on the TV. 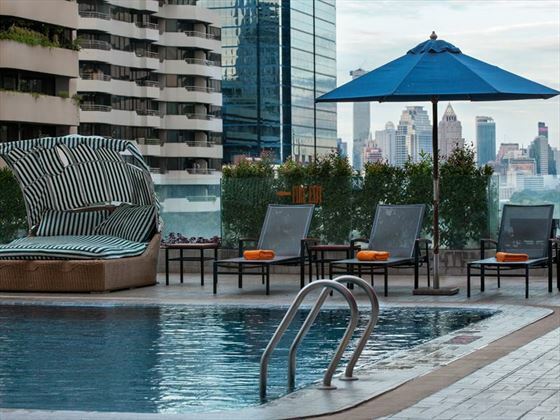 Pool Bar – Thai snacks, Mexican tapas, burgers and deserts served from 10am till 7pm by the pool on the fourth floor. Fourth floor swimming pool is open from 6am until 11pm. Fitness centre with exercises bikes, cardio equipment, free weights and treadmills as well as a big screen TV. FREE Night Offer Stay 3 nights pay for 2 or stay 4 nights and get 2 free PLUS book a Superior room and get a guaranteed upgrade to a Deluxe Room. Book by 31 May 19. Valid up to 31 Oct 19. Breakfast is chargeable on free night. Upgrade offer Book a superior room for 3+ nights and receive a guaranteed upgrade to a Deluxe Room Valid year round.